Are you planning to upgrade yourself, and buy the new car which was just launched? If so, then it is advisable to find a buyer for your old car for transferring the ownership. For this, you will need a Bill of sale form for vehicles and automobiles like DMV Bill of Sale Forms, for doing the needful. 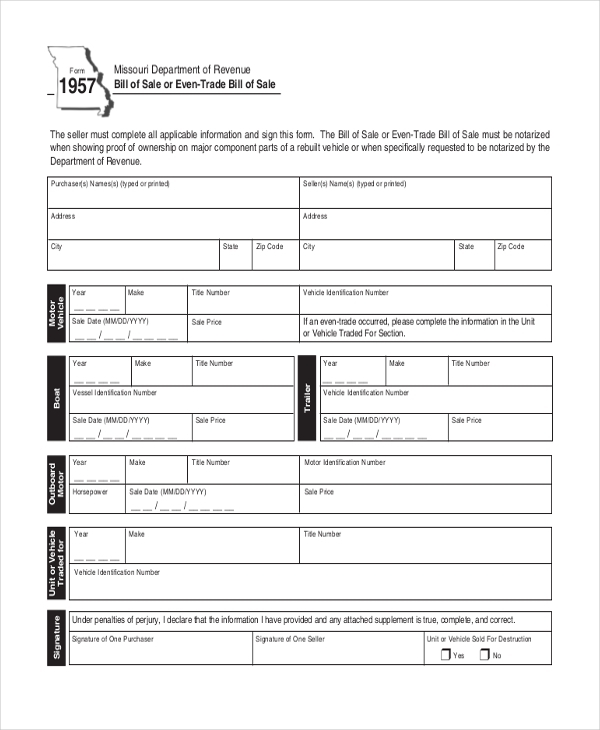 Our collection of templates consists of various Bill of Sale Forms. For releasing and transferring your ownership to the new buyer of your vehicle, this free vehicle bill of sale form is quite useful. Customize it after download and then print it. 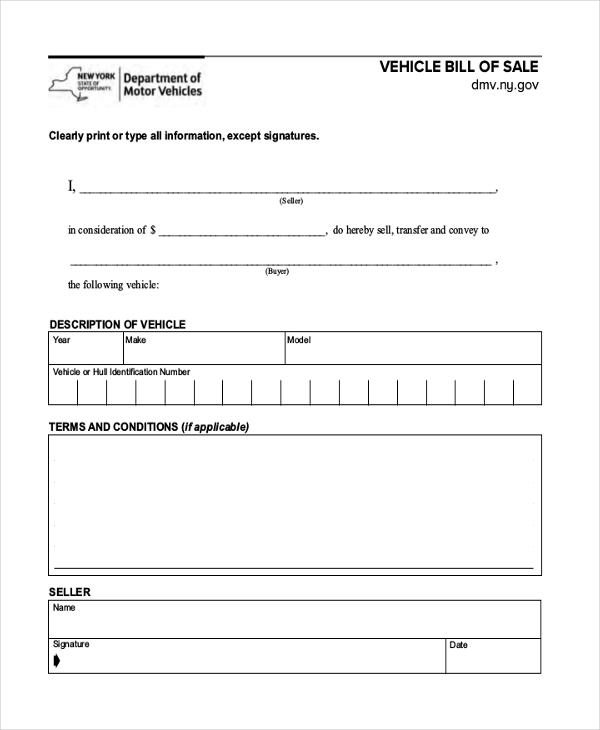 For selling your used old car, you can download this free bill of sale form for car template, for transferring your ownership rights from that particular vehicle. Customize, print, and use. You may also see Sample Bill of Sale Forms. 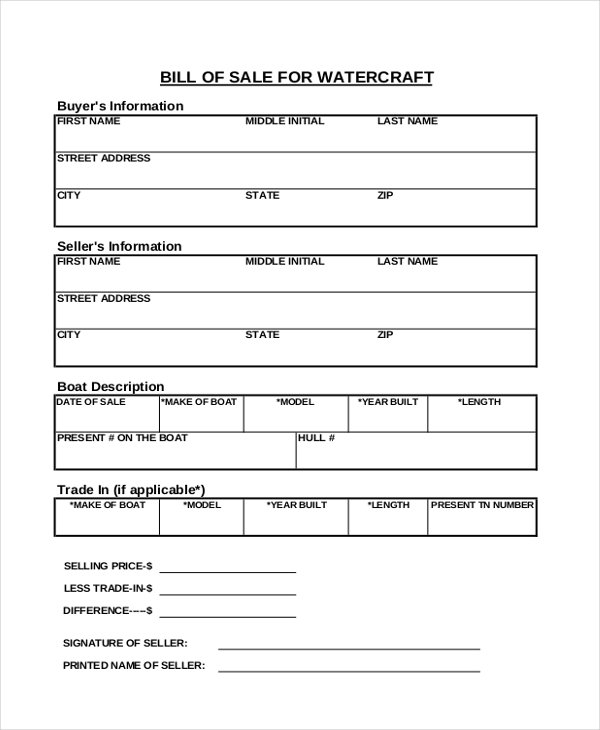 For owners of boats, who are interested in selling them to new buyers, this free boat bill of sale form template can come quite handy. Download it and customize as per requirement. You may also see Free Bill of Sale. 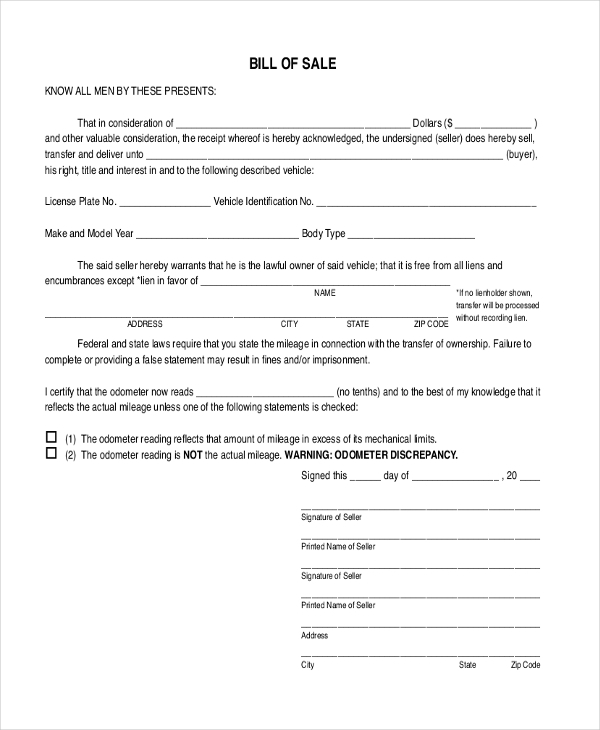 No matter what type of vehicle you own, if you want to sell it, then you must download this free auto bill of sale form template for transferring your ownership rights. Just print it. You may also see Auto Bill of Sale Forms. 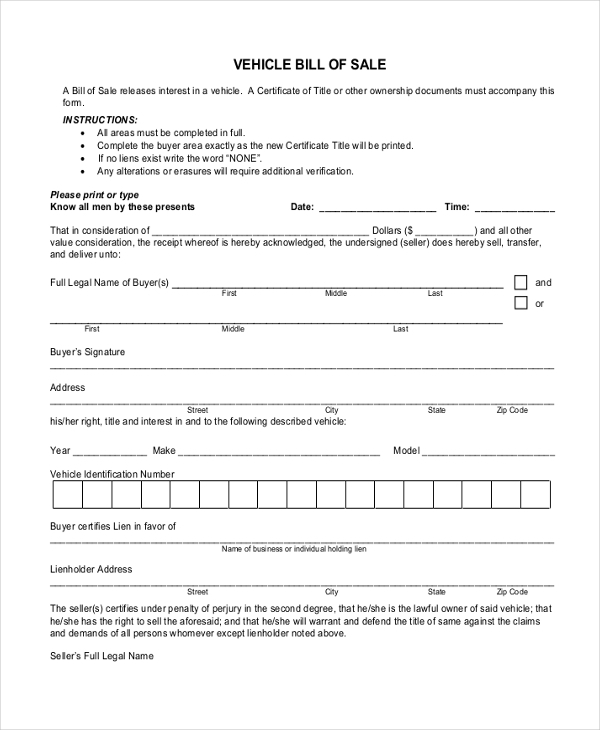 This free blank bill of sale form template is meant for owners of motor vehicles, who are interested in selling them to new buyers. Just download, customize and get it printed for use. You may also see Bill of Sales. 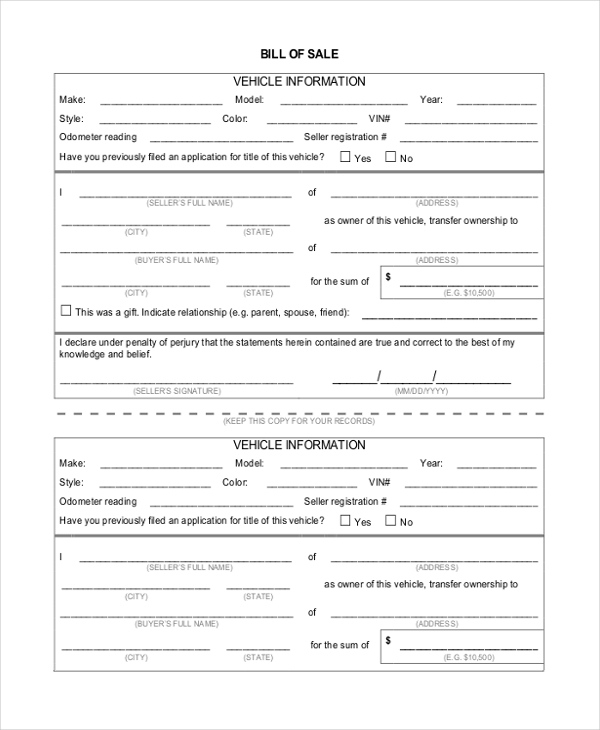 For legally transferring your used vehicle to its new owner, you can use this motor vehicle bill of sale form template absolutely free. Totally customizable, just print it and use. For carrying out the legal procedure of transferring your old car to its new owner, this Generic bill of sale template can be of a lot of help. Simply download, edit and use. You can also see General Bill of Sale Forms. New Vehicle bill of sale form template is a must download for companies selling new cars to people. Just download, edit the content as needed and print to use it as a legal document. Usage of Free Bill of Sale Sample Form? A legal procedure must be carried out and an agreement must be made while transferring the ownership of some goods or a particular vehicle from the seller to its new buyer. For this transferring of ownership procedure, you need to prepare or get a Bill of Sale form. The entire condition of the vehicle, its parts, and other corresponding papers are mentioned in this form, from the seller’s side for remaining clean to the buyer. Then both the parties sign it and keep one copy each with themselves for future requirements. You may also see Bill of Sale Vehicle Form. Target Audience or Benefits of Free Bill of Sale Sample Form? 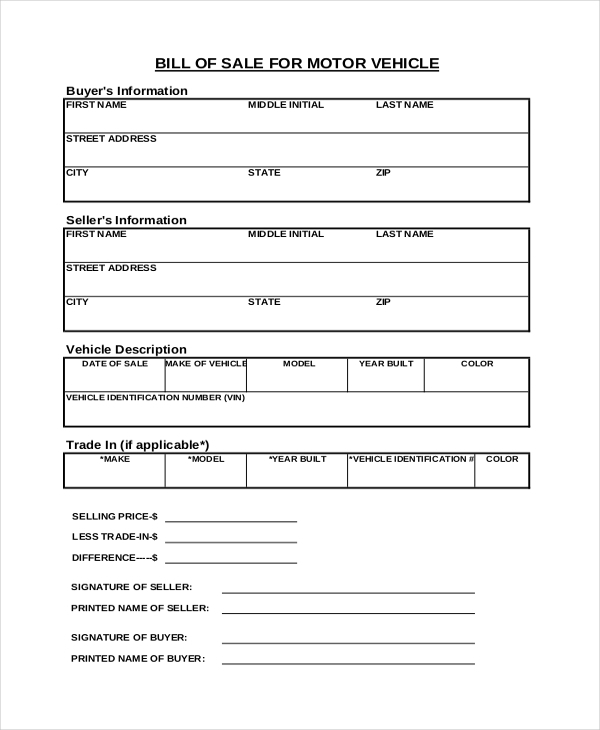 Anyone who is interested in selling their vehicle, old or new or even any prospective buyer can use this bill of sale form. The seller will use it to transfer his rights of ownership on that particular car or any type of vehicle, and the seller will get benefited as the form will have every detail mentioned about the vehicle, which will help in avoiding any misunderstanding between both parties. These bill of sale form samples are available for free and are in PDF format. From the varieties available, you can choose accordingly. For getting your free bill of sale sample form template, you can browse through our entire collection. 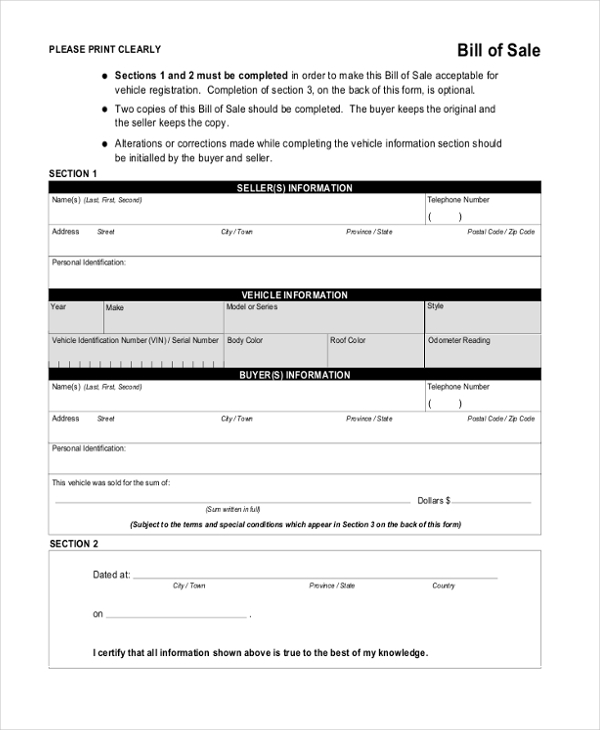 These templates are designed in a smart professional format, and they are completely print ready and are 100% customizable too, just like templates for DMV Bill of Sale Forms. Download the suitable one and use.